Continuing with the 2017 catchup, another retro venture was acquiring a SEGA Mega Drive for the first time to hack, play some retro games, and watch mega drive demos. None of my software hacks are interesting enough to post at this point, but I did like a hardware mod I did, to add a switch to the back of the unit, that flips the megadrive between PAL (europe) and NTSC (US) modes. This was necessary, because some games and demos only work in one of the two modes, while some NTSC games work on PAL consoles like mine, but run way too slow. 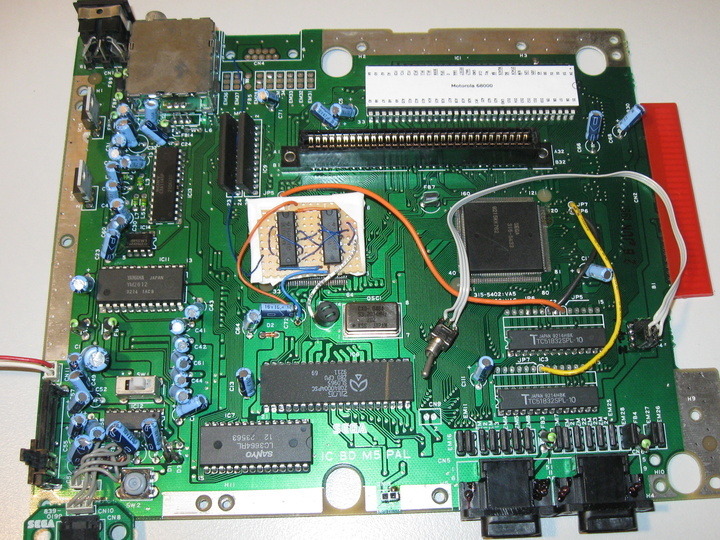 If you want to see the details, head over to my regular website, where I uploaded a complete writeup of the PAL/NTSC hack.